Can I File for Both FERS Disability Retirement and OWCP? 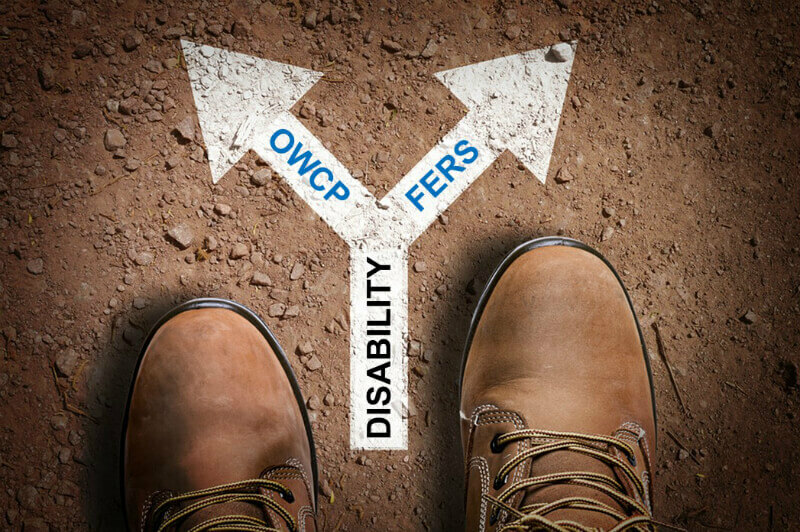 Are you filing for both FERS Disability Retirement (FDR) and Office of Workers’ Compensation Programs (OWCP) benefits? If so, you’re not alone. It’s quite common for disabled federal employees to file claims under both programs, sometimes simultaneously. To qualify for FDR, you must be able to provide clear and compelling evidence that you are unable to perform one or more essential functions of your position of record because of disease or injury. If, however, your disabling disease or injury is the result of a workplace mishap, you may also qualify for OWCP benefits. If you fall into this category, here are some important things to keep in mind. Approval for OWCP benefits does not automatically entitle you to FDR. Although OWCP approval may significantly strengthen your disability claim, you still must submit a complete application package to the Office of Personnel Management (OPM) if you want to be considered for FDR. Unfortunately, you cannot receive both FDR and OWCP payments simultaneously (Note: there are limited exceptions to this rule. See SF 3112-2: Information About Disability Retirement (FERS) for more information). If you are eligible for both benefits, you will be asked to choose between FDR and OWCP. If you choose OWCP, you will be allowed to defer FDR. In other words, if/when your OWCP benefits terminate, you will be eligible to start collecting your FDR annuity (provided you continue to meet the medical and financial requirements for FDR). If you separate from federal service for any reason (e.g., termination, resignation, etc. ), you have exactly one year from your separation date to file for FDR. To be clear, even if you are receiving (and continue to receive) full OWCP benefits well after your separation date, the one-year deadline still holds. So, don’t make the mistake of waiting for your OWCP benefits to terminate before filing for FDR, because it may be too late! What Happens If My Application for FERS Disability Retirement Is Denied?